Last edited by Chow owner6 on Thu Feb 06, 2014 8:54 pm, edited 2 times in total. Just an FYI for those that don't know. Richard Godfrey was the beast behind the GA puppy mill organization where over 100 chows were seized in 2011. Many of these dogs were actually dumped on the side of a highway (37, four of which didnt survive and were killed in traffic. An additional 84 dogs were rescued from his property. Most were relocated to a NY Rescue Group. He utilized the name Heavenly Chows and very often preached to potential customers to guilt them into purchasing pups. There are posts on this site way back in 2007 warning members of his practices. Sadly, this posters purchase of the chow dog pre-dates any of these posts (i could have missed earlier items, but that's really not the point). Chow Owner6, i dont think there is a lot the AKC can do for you, and it's going to be very difficult for members here to help draw a genetic line for your Chow. Even assuming he registered a 10th of his litters properly, i would guess that the majority of Godfrey's mating pairs were not properly registered, thus no info in the AKC database. Given the conditions that he kept those dogs, mating probably occurred without any sort of controls or record keeping. I would look at your dog at this point, he is good looking and hopefully without any serious health issues. Accept him for what he is, because in my opinion you have very little chance of solving the puzzle. Hopefully your Chow (or others from this house of horrors) has not been mated as that will extend the lineage problems even further. It seems when someone has a question like this and it's their first posting they are not telling the whole story. I wondered why after all these years why AKC had your dogs DNA and finally told you? And why you care since he is 8 years old now? My guess is you breed him so many times that they require it. That made me do some digging and found your dogs father SA-MI CREAM O' WHEAT NM58552003 was a cream chow and born 10/15/1994. He would of be 12 years old when he sired your dog. Not impossible but a red flag. Then I did found a dog named RHENEGADES MICAH OF GODFREY (Micah) NP15013501 Red Rough M 11/14/2006. Is that your dog or his birth day because both parent are suppose to be the same as yours. Last edited by 612guy on Thu Feb 06, 2014 5:48 am, edited 1 time in total. Last edited by Laura on Wed Feb 05, 2014 4:49 pm, edited 1 time in total. I have edited this post to remove inaccurate assumptions. Last edited by Rory's Dad on Wed Feb 05, 2014 6:10 pm, edited 1 time in total. Last edited by Chow owner6 on Thu Feb 06, 2014 8:59 pm, edited 2 times in total. Last edited by Chow owner6 on Thu Feb 06, 2014 8:58 pm, edited 2 times in total. Last edited by Chow owner6 on Thu Feb 06, 2014 9:00 pm, edited 1 time in total. I take strong exception to the negative and untrue comments in reference to Rhenegade Chows. I have a Rhenegade chow and have personally seen her kennel set-up and the adult chows used to produce her wonderful puppies! My Rhenegade chow, Casey, is a healthy, well-adjusted 5 year old now with a great temperment. They wouldn't know how to stick to the subject at hand unless the subject is how to write BS about people they don't know or dogs they don't know. You have to speak slowly to them and just one sentence at a time. As for your dog, this place probably isn't the best source of anything except for how to waste your time. I certainly can't get back the 5 minutes I wasted on here. Going to groom and get some purple kisses. To look toward the future we must understand the past. The only reason I guessed that dog was yours was because you didn't give his name. Everyone who ever comes to this site introduces their dogs name in their first posting. It took the 4th posting to find out his. I was right about his birth date and the reason behind having his DNA with AKC. Maybe you could give us your kennel name, where you're located at and how many chows you have before we assume anything ? I'm guessing you won't but have been wrong before. Last edited by Chow owner6 on Thu Feb 06, 2014 9:02 pm, edited 1 time in total. 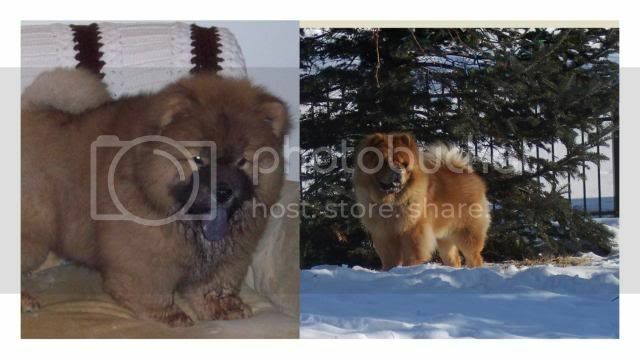 Chow owner6 wrote: My dogs name is Chewbacca and he is cream, the red chow Rhenegade is my dogs so called brother and there is one more from this litter from 2006 which I have no idea who owns that one. The lady that you are accusing me of being doesn't have a DNA issue with Rhenegade his DNA matched. Only a couple of forum members know that my 17 week old puppy was purchased from Rhenegade Chows. My experience with Carla (she is not the original poster) has been entirely positive. 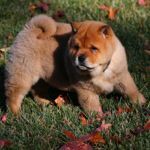 I haven't seen any Chow breeder website that doesn't need some updating; I imagine most of them don't have the time or technological knowledge to manage such things. Life can be messy and Carla does share her misfortunes publicly. Some of what happened in her life does sound scary, but she herself is not. It's just one opinion, but I would not hesitate to recommend a Chow from Rhenegade. Chewbacca is not Micah. Rhenegade Chows should not have been brought into this discussion. Yes, it would have helped if the OP had given more details, but this does sound like one of those cases where insufficient information should have precluded making assumptions. If we lack information, it's better to ask instead of jumping to conclusions. I know how easy it is to make this mistake, so it's a reminder to myself also. I doubt the moderators will want to remove comments, but people certainly have the ability to edit their own comments if they think it would be fair. The topic of merles has resulted in long flame wars here in years past. I read all of those before I joined the forum and found them disturbing enough that I almost did not join. I certainly do not want to fan flames in this already hot discussion, but I do want to share the very little documented info that I was able to dig up on merles, which is a color pattern not unique to Chows. Although merle is not a recognized color in the official Chow Chow organizations, the quote below assures me that it is possible to breed healthy merles responsibly. (it's also possible to breed them irresponsibly) I can understand if some people disagree with my conclusion. I would appreciate links to more research, but please make sure you understand the scientific terms on genetics before posting additional information. I'm sure everyone agrees that there's a lot of junk on the web. Last edited by Chow owner6 on Thu Feb 06, 2014 9:04 pm, edited 1 time in total. Last edited by Chow owner6 on Thu Feb 06, 2014 9:06 pm, edited 1 time in total. Last edited by Chow owner6 on Thu Feb 06, 2014 9:07 pm, edited 1 time in total. I looked at this website and found it very misleading. The "Health Certificates From All Breed Registry" is given after you send in a form filled out from your vet saying the dog is apparently free of a list of problems. There are no x-rays done, this is just the opinion of the vet. Some of the dogs did have OFA's but I could only find 3 with OFA hips. One dog is advertised as having 6+ generations of OFA but if you look at the pedigree that is not true. If you have a dog from this breeder and are happy that is great. I just feel that the website leads people to believe that there are more health clearances being done than there are. The "Quality Breeder Site Award" is also misleading. It leads you to believe that the award is for the breeder not the website. Last edited by Chow owner6 on Thu Feb 06, 2014 9:08 pm, edited 1 time in total. Chow owner6 wrote: DrewBear-why do start off with the sentence " only a few know where your 17 week old comes from"? Is that a secret or do you not like where you purchased your dog from. I'm just alittle confused WHY all this has anything to do with my original post. If you read my post carefully you should realize that I am very happy with Carla and my pup. Only a few know who I purchased my pup from because most people on this forum simply don't start out by naming the breeder of their Chow. I contacted a few people off-list with questions about breeders and of course let them know who I eventually chose. None of this has anything to do with your original question. I simply wanted to clarify certain points. I understand your frustration with what you're going through. But just as with dogs, a more calm and positive energy will get you better results in dealing with people. I'm afraid you've probably lost anyone who may have been able to help you in any way. Good luck in any case. I was referring to Micah's health certificates, which came from OFA. Only the mother of my pup had health certs and they were only preliminary. I did my due diligence and understood clearly what those meant. Others should do the same when researching a breeder or a particular puppy. That means doing homework on the various agencies and organizations that issue this or that piece of paper. None of those organizations are perfect, so you choose what to value or not. You say someone was "mislead", I say they "didn't do their homework". I'm afraid someone who thinks the website award is a breeder award did not read carefully. You obviously understood what it meant. We could go on and on about which breeders may or may not be misleading prospective buyers of their pups. But I think this discussion has been hijacked badly enough. I should have stopped earlier. OK I am really getting tired of you people bashing my wife Carla, let me tell you that we do everything and then some for all our chows here. We have done all necessary testing on them. UABR cares more for and does more for the breeds than other registries, the chows that we have that are national and international champions through UABR we MUST have all testing done BEFORE they receive the title. All of you sorry _______ people that want to start something with Rhenegade Chows I will ask you have you ever been here have you ever seen our kennels? I didn't think so, because everyone that has left here with a smile on their face knowing that got a quality LIFE LONG companion from us. All our puppy parents are a part of our ever growing family. We do stay in contact with all our adoptive parents and we do place contracts on all puppies that leave here. This thread was not set up about Rhenegade Chows, merely someone asking about DNA for another chow from Godfrey's Heavenly Pets Chows, that is no longer a kennel for his actions towards his chows. I will say this so called "research" that has been done on here is a joke. No your facts before you start running the mouth. To Chow Owner 6 I do hope someone can step forward with samples to provide you the information you need in order to find out who the Sire of your chow was. So back to your original inquiry. You have stated that your Chewy has sired 7 litters and now all of those 7 litters have inaccurate pedigrees because you don't know the parents of your chow. Correct? I get why you're asking now. It also just further proves me to me how absolutely worthless the AKC and their 'papers' are. I already knew that though. I'm sure if anyone sees your post that can/wants to help you they will reply even with all of the hijacking as you call it. Hi Drew! Nice to see you on, well not this site, may want to find a better one.I would say that you and I did a lot, and yes a lot of talking before you decided on adopting from me and me letting you That is how it always it is with me and all my puppy parents know this. Especially Leslie, Hi Leslie thank thanks hun, love ya. Leslies boy was the result of pure evil touching him. A lady came to my home and had antifreeze on her hands. Long story short, 2 surgeries and 3 weeks of hospitalization and a huge vet bill which I could have cared a less about and 7 months of care, and I made Leslie drive to me after grilling her to meet him without the promise of him even going home with her if he didn't like her. He is with her obviously and I adore her. Casey is very special to me and always will be. Laura of MaiKinda, Hi, how are you? Comfortable? Well you just sit there because Im about to get my pissed off on! You best kiss that precious head of your Micah and thank your lucky stars that you didn't get Jubiliee or he would have been on your memorial wall not mine. I switched dogs for YOU. So my heartache was caused because I tried to help you! Someone I didn't even know, and yes I lied for Loretta after we found out about his Hernia, because she didn't want you or anyone else to think poorly of her kennel, I was told my boy had an umbilical hernia, only to find it was much much much worse. A Diaphragmatic Hernia, 1 year life expectancy. Because that is what happens when someone has a hernia or a problem the whole show world starts running their mouth.SO DONT YOU DARE LADY question me at any point! EVER! YOU DO NOT HAVE THAT RIGHT!!! My Jubilee is Dead from a major life threatening defect and your Micah lives, so shut your mouth. Remember the story? Tell her he swallowed a diaper... yeah I remember. Not even close! born that way, came that way. So bad I didn't even have to finish paying for him after the $1500 surgery he had to have, just to extend his life to maybe 1 year, he lived to be 2! I have pictures any takers? Its horrible. OriginalRecipe wrote: Hi Drew! Nice to see you on, well not this site, may want to find a better one.I would say that you and I did a lot, and yes a lot of talking before you decided on adopting from me and me letting you That is how it always it is with me and all my puppy parents know this. Especially Leslie, Hi Leslie thank thanks hun, love ya. Leslies boy was the result of pure evil touching him. A lady came to my home and had antifreeze on her hands. Long story short, 2 surgeries and 3 weeks of hospitalization and a huge vet bill which I could have cared a less about and 7 months of care, and I made Leslie drive to me after grilling her to meet him without the promise of him even going home with her if he didn't like her. He is with her obviously and I adore her. Casey is very special to me and always will be. This is not the place for this. I did not attack you, I said I felt your website was misleading. Your post has done your reputation more harm than my post. Anyone that is interested in the genes that my Micah carries is free to contact me. Not one damn thing misleading about my site, if its there its there if its not its not. I don't say I have something if I don't I show what I have and its all in the open. Nothing misleading, at all. If someone asks if they are OFA'd I show them, if they are not I say it, 100% honest, unlike the days when I was encouraged to cover up for others. I KNOW the heartbreak more than you will ever know, so I state the facts, and I show them. NOT ONE DAMN THING MISLEADING. You are right though, this isn't the place for this You will apologize for saying I am misleading and I will think about taking down the facts behind Micah's brother.